The Affordable Care Act impacts everyone. Yet, a campaign promise of President Trump, and the ACA Executive Order signed on inauguration day sends an ominous signal about repeal but says little about replacement. Our series on the Affordable Care Act's impact is linked below--each brief video reviews the many aspects of the law. We encourage you to watch and learn about the broad impact of the ACA then share these videos. 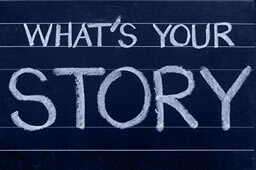 More importantly, we also ask you to share your own story on how the ACA has impacted you or your family. Read stories of the ACA's impact.